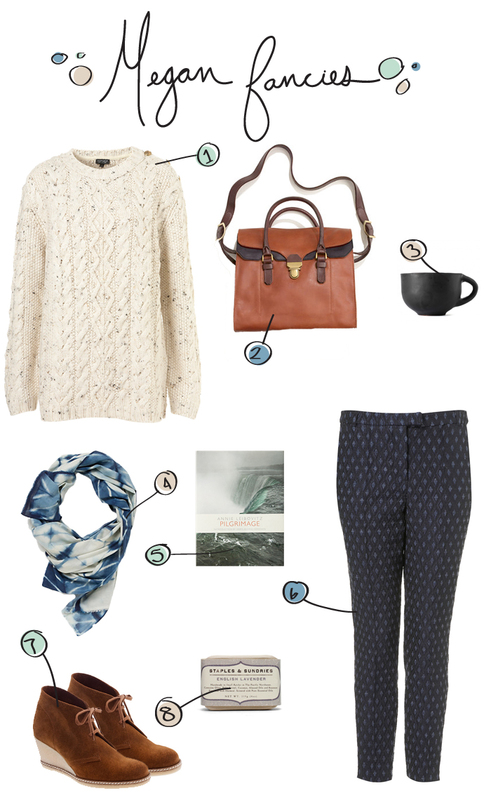 With the cool weather upon us all I can think about is big sweaters, fun scarves, and those MacAlister boots from Jcrew. It is all about getting cozy and snuggling in as it feels like winter is a short time away. I actually woke myself up because I was dreaming it snowed outside. This time of year in Northern Michigan this would not be out of the question. It happens. Secretly I am excited to come home from Europe in December and see piles of snow as I know this winter is going to be a snowy one. It is long overdue. What are essentials for Fall right now? Is there any must have you have adding to your wardrobe to feel warmer and chicer this Fall? You’re typography and layouts make my day, as does this rad cool and neutral outfit. Loaded with subtle details and personality, very cool. I love every single thing in this set! I am in search of a chunky sweater.